That’s a cool legend, right? I’ve heard it, or something like it, before, around town. Long-time resident Annette Smith (1914-2012) mentions 21 soaks taken by cowhands in part one of this video interview. And it’s mentioned in an article on Newton “Jack” Keas by Charles Bennett (more on Keas). So is it true? 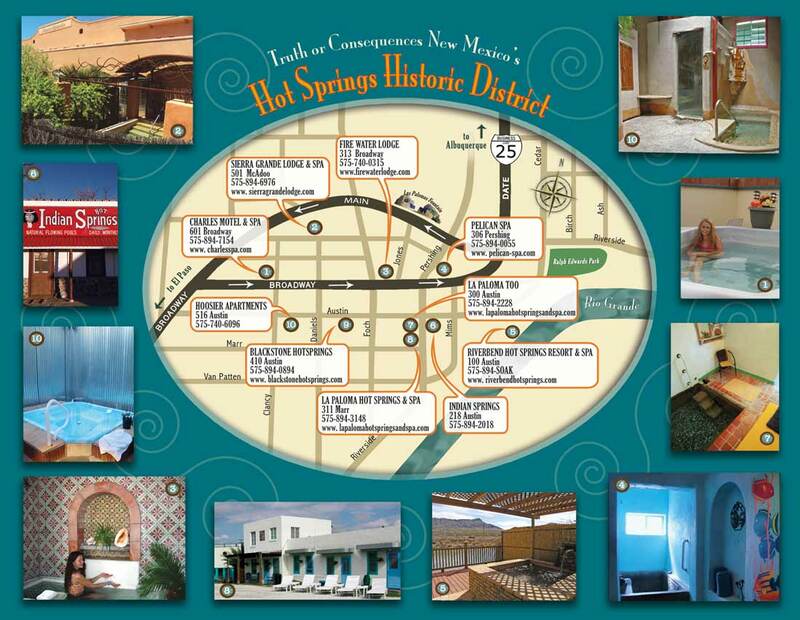 Someone brought it up again at a recent Tourism meeting, and I volunteered to try it out – bathe in the springs daily for 21 days straight, and put together a little story. I already take a lot of baths, at home. I come from a long line of bath takers on my mom’s side. I love baths so much, I almost can’t imagine life without them, especially during Cold Toes Season (November through April). Does it really matter if I’m in mineral springs vs. hot city water + bottled bubbles? Probably. I’ve pondered this a fair amount, given where I live (Truth or Consequences, formerly Hot Springs New Mexico). And considering I’m about to abandon my bath at home for T or C’s mineral spas to test this “cure” theory, I suppose I need to identify all my ailments, so that if they’re cured…I can brag about it! I freelance, primarily as a web developer, but also as a promoter, writer, proof-reader, and admin assistant. At the shop I co-own with my honey, I’m a framing consultant, hawker of art supplies, and bill payer/checkbook keeper. I’m terrible at saying no, partly because I really like what I do, so my mind is generally cluttered with a lot of info – assignments and ideas and punch lists. Without a doubt work is my drug and my mind is usually willing to knock out one more thing. But my body has started complaining. By that I mean, for the last couple of years, my right side (neck to fingertips) has been a mess, absolutely without a doubt due to my attachment to my computer. I have (self-diagnosed) carpal tunnel syndrome in my right wrist, and the shoulder discomfort and occasional elbow pain that go along with it. My ganked right side isn’t helped by the fact that sometimes I work in ridiculous positions – typing in a twist while lying on the bed with my legs hanging off one side, for instance. I also evidently sleep in a twist, judging by how often I wake up with a zombified, completely unresponsive limb. I get headaches — sometimes migraines – I guess from eye strain (did I mention I’m attached to my computer? ), or other times from over-heating, and lots of times for no identifiable reason. The migraines began in my late 30s. I always blamed lady getting-older life-cycle stuff but in fact just now I realized – by my late 30s, even in a non-tech job, I was doing almost everything on the computer, staring at an illuminated screen all day. Hmmm. Not work-related: I have a bum hip that’s been acting up since I was 18 (self-induced, long story). I do a little yoga now and then (it helps the hip) but mostly “then,” and my level of physical fitness at present is…not. Moving on. Insomnia. Who doesn’t have this? It doesn’t bother me unless it goes on too long, meaning night after night for hours at a time. I have bouts like that. To make myself sleepy I check Twitter or read a book; if I’m worrying excessively, I’ll get out of bed and tick some items off my list. So – I don’t make it a high priority to get all the rest a person ought to, and I can be pretty lazy about nutrition, and I’m out of shape. I’m grateful to have my health, but I live like someone who’s never had to worry about it. Meaning, half-stupidly. I didn’t come here to explore the health benefits of geothermal water. Soon after arriving, though, I started to realize how cool it is that we have easy access to some of the best water on the planet, coming out of the ground at T or C’s ten bathing spots. And I started taking mineral baths. But a year or two in, I got busy and stopped making time for soaks — the ordeal of packing the bag, getting to the spa, chatting with the attendant, realizing I forgot my deodorant, all that jazz, seemed like a lot of hassle. Never mind three times a day, the last handful of years I barely managed to get in the springs three times a year. But now, given my assignment, and considering the physical problems I just identified, I can soak daily, call it work, and potentially address at least a third of “what ails me,” right? 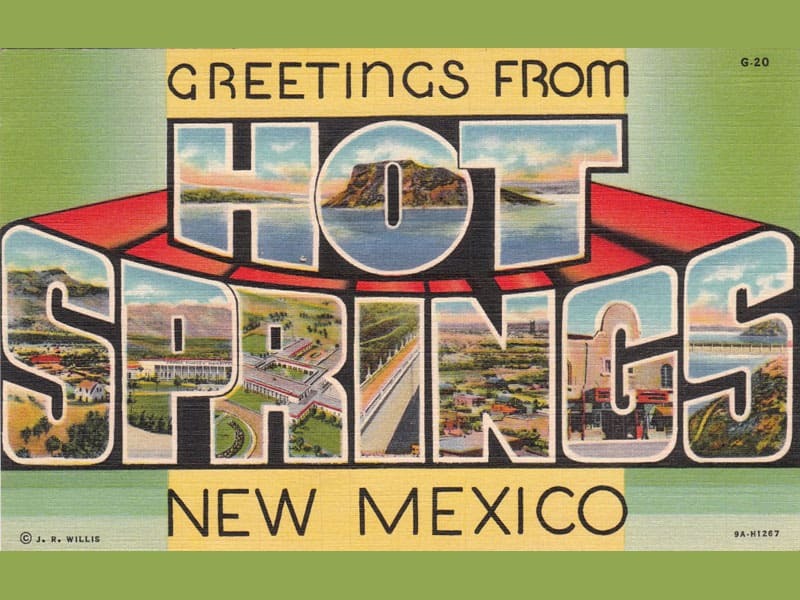 So here goes – the unabridged tale of my 21 consecutive days bathing in the curative hot mineral waters of Truth or Consequences, New Mexico, which officially began on April 15, 2013. * The 21 Day Soak project began as a bunch of notes written journal-style, then was pruned and polished with the help of freelance writer Robyn Harrison (who also posts on Day 13) and Elizabeth Kearns. A photo or two was borrowed from Mickey Losey. Thanks to everyone who provided info and critiques, and giant thanks to the spas who comped any or all of my soaks: Pelican, Hay-Yo-Kay, Sierra Grande, Charles, La Paloma, Fire Water, and Blackstone!